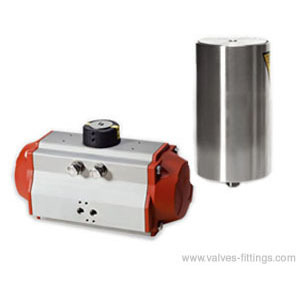 AV-11A-A series vertical actuator applies to different kinds of valves for stainless steel pipeline system, such as butterfly valves, butterfly type ball valves, ball valves. Both single mount and double mount available as customers require. Air tube connection: R1/8" G1/8"
With or without C-top and position sensor as customers require.